A man meets three workers on a building site. To have the right attitude toward your life you need to see “the castle”. You need to decide what goals in between the beginning of your work and the end result, which walls you are going to build first. You have to lay the bricks that are needed to build each and every wall, this is the action: without it, nothing happens. This clearly is what many people lack: a greater vision but knowing what actions and goals have to be done and achieved to get the final result. It is not about if or when, it’s about the HOW. Attitude: How you can form the right attitude about yourself, your work and your priorities. Goals: Goal setting and how you can set your goals. Actions: How you can form an execution process in order to get things done. By asking yourself HOW, immediately removes the blockages of negativity as it tells you that you can achieve it. 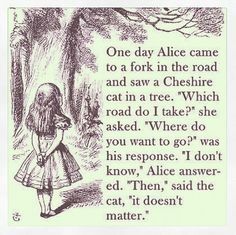 Unfortunately research shows that 97% of people are walking the same path as Alice, i.e., they have not set any goals. Among the reasons are fear, lack of encouragement and lack of know-how. Buy setting goals there’s much more to offer, because goals draw out the best in us, and shows the right path; by doing so we increase our self-confidence and self-esteem and leads us to the strongest force in self-encouragement. Without a clear direction you find difficult setting goals. What do I want to be, who do I need to become, own and do this year? How will I achieve that and connect it to my weekly/daily goals? I encourage you to write down your main goals for this year, a clear picture of your castle and connect your vision to your weekly/daily goals. 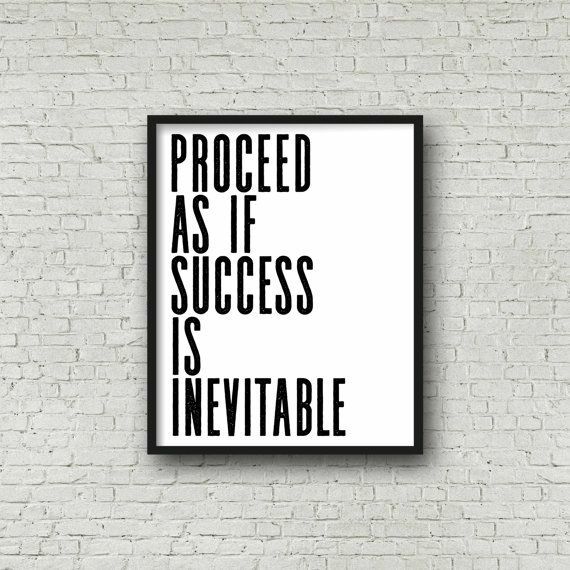 Break it down and you’ll be able to say that your success is not a possibility but an inevitability. But how do you learn to see the castle !? That’s a great question and a good topic for a future blog post.